St. Martin's Press, 9781250014528, 325pp. Isabelle confesses that, as a willful teen in 1930s Kentucky, she fell deeply in love with Robert Prewitt, a would-be doctor and the black son of her family's housekeeper in a town where blacks weren't allowed after dark. The tale of their forbidden relationship and its tragic consequences makes it clear Dorrie and Isabelle are headed for a gathering of the utmost importance and that the history of Isabelle's first and greatest love just might help Dorrie find her own way. 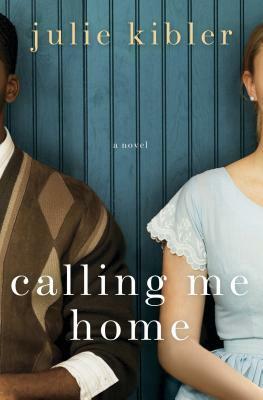 JULIE KIBLER began writing "Calling Me Home" after learning a bit of family lore: as a young woman, her grandmother fell in love with a young black man in an era and locale that made the relationship impossible. When not writing, she enjoys travel, independent films, music, photography, and corralling her teenagers and rescue dogs. She lives in Arlington, Texas. Calling Me Home is her debut.